The children had a great time playing in the centres last week, where they continued to develop their language, math, inquiry and social skills. They wrote messages, menus, and food orders, role-played in the post office and restaurant, and painted frames for their family photos. 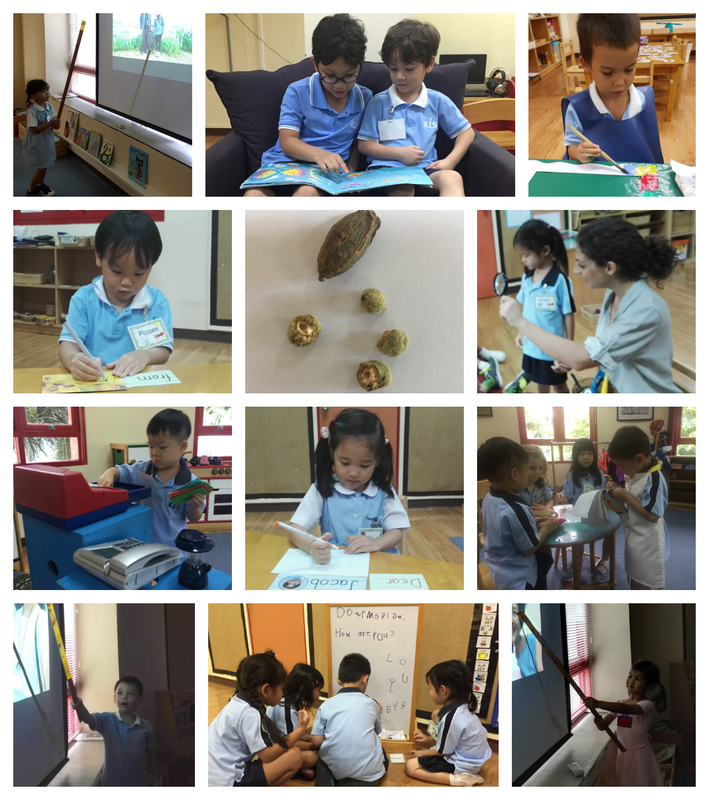 We began a child-initiated inquiry, following up on the children’s curiosity about seeds and fruits they collected in the playground, and making predictions about what would happen if we planted them. We met a new set of reading buddies, Mr. Matt’s Grade 3 class (as the two Grade 3 classes will alternate weeks with us). The children also began giving presentations to the group to share the photos you have all sent in, and to tell us about their families. We have been so impressed with everyone’s ability to speak confidently and proudly in front of the group! We celebrated three birthdays last week in EY2. 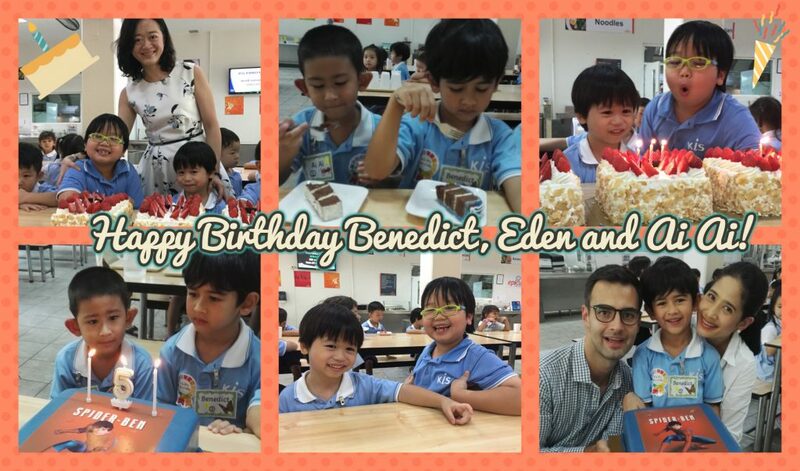 Happy 5th birthday to Ai Ai, Éden, and Benedict! Thanks to the parents for sending in goodies to share. Hope all three boys had a special day! *Our Coffee Morning this week is a great opportunity for parents to learn more about our program and how you can support your child’s learning. You will also have the chance to look around the classroom, get to know other parent members of our EY2 community, and have a bite to eat! We hope to see everyone there!